stirrup pump. 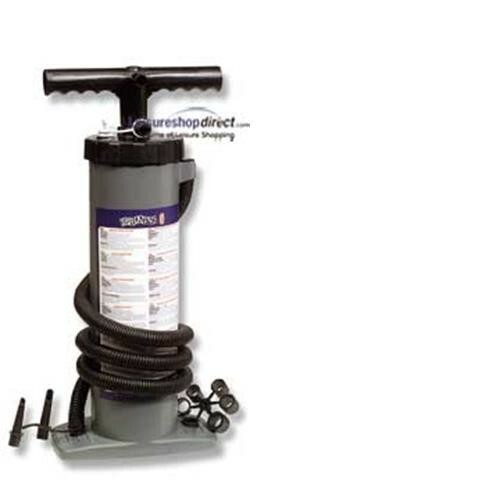 Double action pump for inflating fenders and inflatable dinghies. 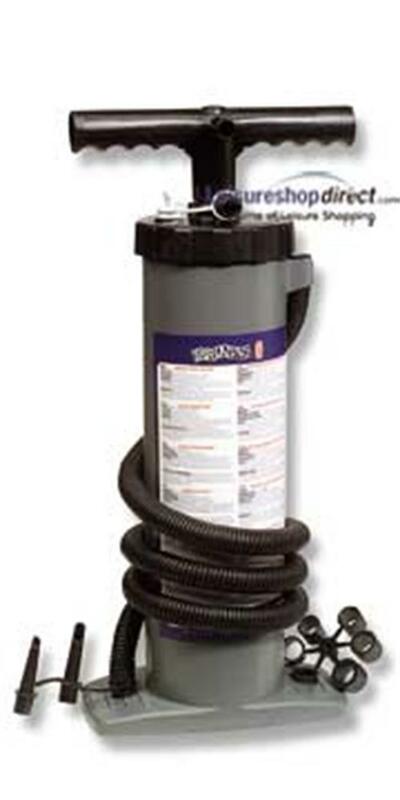 This pump is very good value for money and appears to be generally well built too. Only issue is with the pump shaft itself which does not feel as sturdy as it could be when fully extended, but I suppose the trick is just not to extend the pump handle all the way when pumping! The hose is very good quality non-kinkable material and the whole pump is surprisingly light too. This pump will certainly make light work of smaller inflatables, and an airbed would be up in seconds! All in all a good pump that for me would be even better with an aluminium pump shaft like the 4 litre model. Great service from LeisureShop too, very fast delivery.